These pickups were reverse-engineered from an original '63 Strat® we had on hand...These pickups deliver THE original vintage Strat sound, feel, and vibe. The staggered, beveled-edge Alnico V magnets with Formvar wire produce glistening highs and warm lows that are unquestionably vintage. 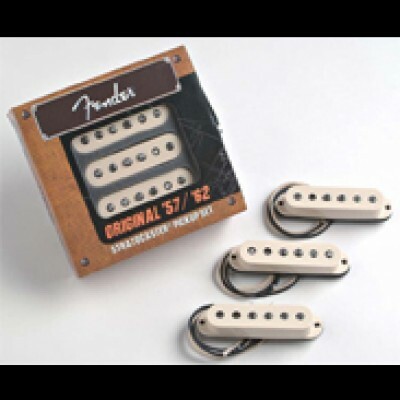 Package for three and individual pickups are available. Individual pickups do NOT include mounting hardware.